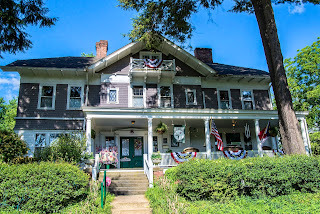 I still marvel at how beautiful our home is and can only imagine how grand it looked when it was first built in 1909. What comes with purchasing a century old home, is the commitment to keep it as beautiful as it was originally. 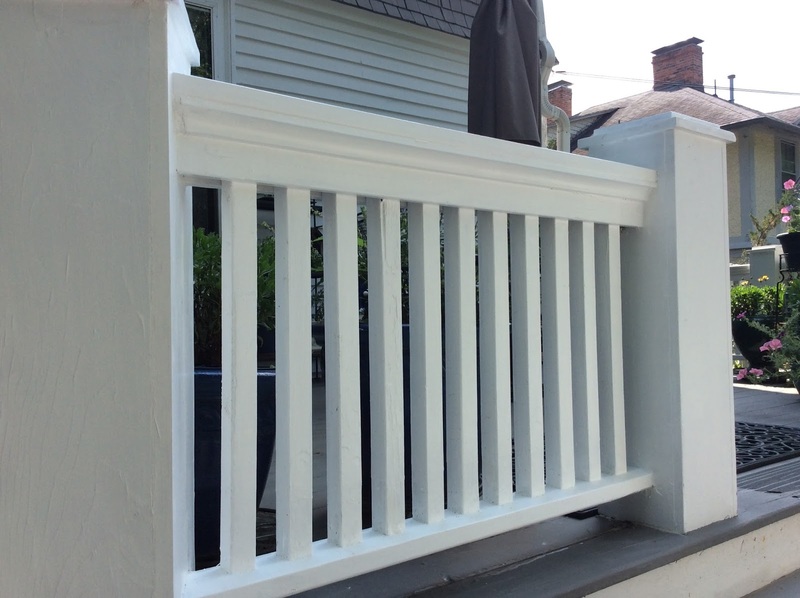 That's why restoring the porches was so important to us as owners. 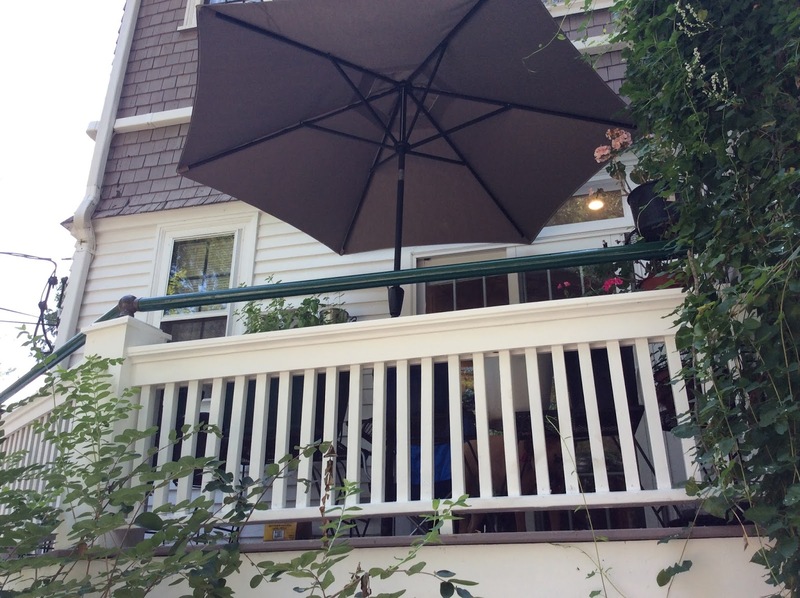 Guests enjoy spending time on the porches and they are part of the character of Abbington Green. 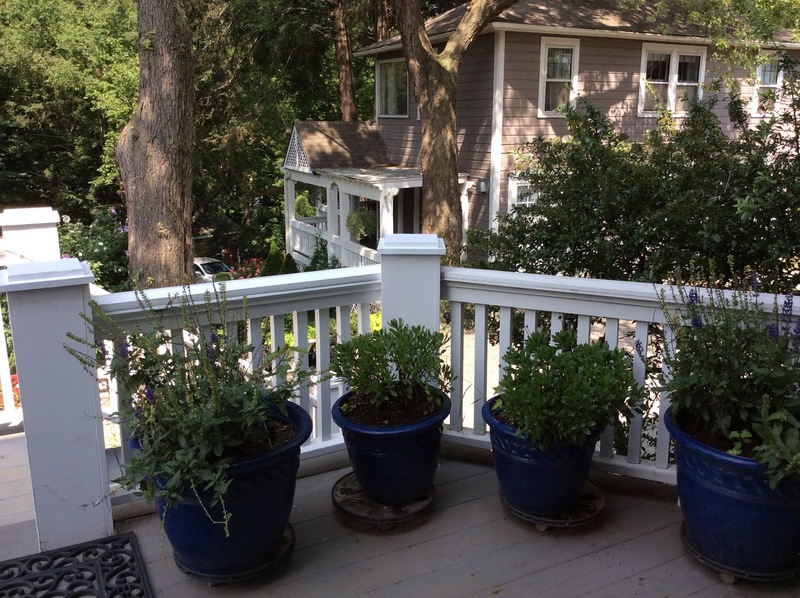 In the 1900's, porches were known as "Breathing Porches." It was believed that breathing fresh mountain air would help you live a longer healthier life. People used to die earlier than they do today. Another belief was that breathing mountain air could help cure Tuberculosis. They believed this so much that there were numerous institutions in Asheville for Tuberculosis patients. An interesting fact: George Vanderbilt built Biltmore Estate in 1895 in Asheville because his mother had Tuberculosis and was in an institution in Asheville. Pretty spectacular, and they look the way they originally did-down to the detail of the light blue ceiling. 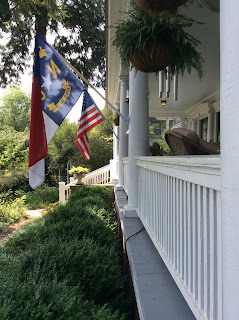 Do you know why in the south you paint the porch ceiling light blue? Blue ceilings are popular and have been popular in the south for centuries. It is said that a blue porch ceiling protects the house and the occupants of the house from evil. Some people also believe the blue paint repels insects, leaving the porch bug-free and pleasant during those long summer evenings and afternoons. A theory is that insects prefer not to nest on the blue ceiling because they are "fooled" into thinking the blue paint is actually the sky. 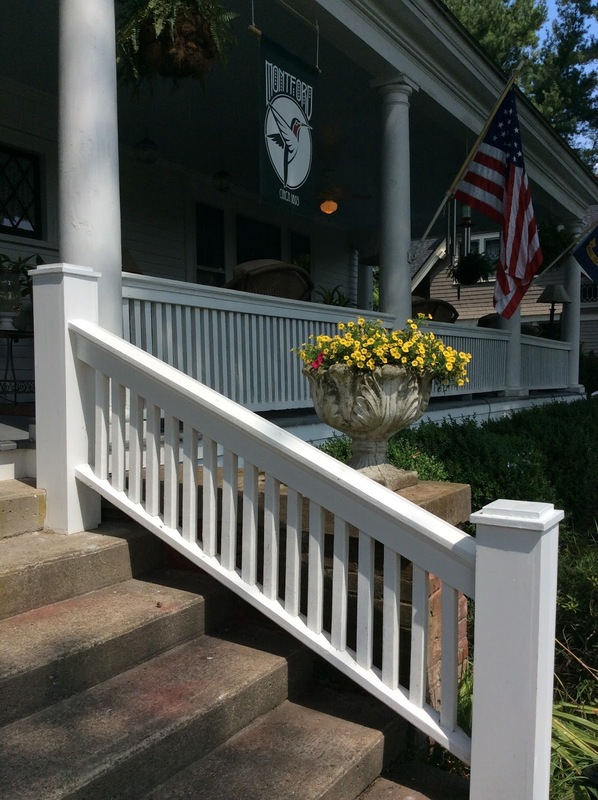 The porches at Abbington Green are an integral part of the experience of staying at the Inn. 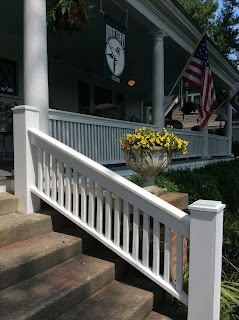 Whether taking a moment to sit and read a book or when the group gathers during Social Hour, the porches come alive with laughter and good times. 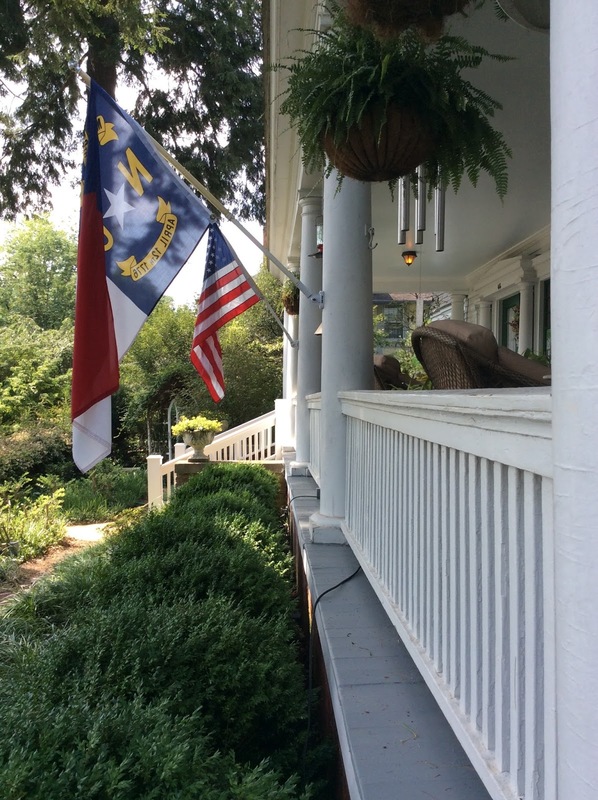 In their new beautiful state the Southern Tradition of spending time on the porch will continue for years to come at Abbington Green. 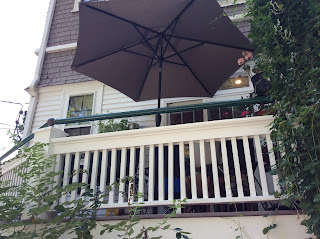 See you on the porch!